The wedding day will definitely be one of the most important events in the life of two people who love each other and vow to share the rest of their lives together. This will definitely mark the start of their lifetime together. As such, it has to be perfect. The couple must come up with ways to know the things and details that will satisfy their hearts and desire. They must know what kind of celebration and program will make them happy and thereby give them a perfect day. Determining the desires of the heart is relatively easier. One can easily choose a theme, think of their favorite colors and even pick out their favorite flowers. However, it is an entirely different matter to put all these ideas into action and coordinate them well to come up with a perfect celebration. Sometimes, the challenges and requirements of considering these points can be very demanding and tiring. The bride and the groom cannot attend to all these details on their own, considering the other things they have to attend to. It is not even a good picture to see the couple working and managing details on the day of their wedding. This is where the wedding planner comes in. There are many movies that showcased a wedding planner at work. The planner takes care of managing all the aspects of the wedding, from the ordinary jobs down to the most elaborate detail of the celebration. It is no easy task to shoulder the aches and pains of executing the whole plan. He or she will take on all the legwork needed as you go on with your usual lifestyle and focus on the more personal matters. The wedding planner will definitely be one of your precious companions to put into action the wedding of your dreams. This is why you have to know the right way of choosing a wedding planner who will put into reality the wedding of your dreams. How to Choose for the Right Wedding Planner? 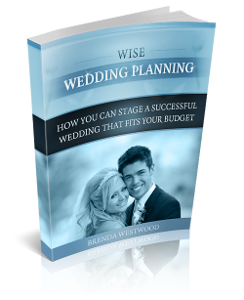 Most couples will find themselves clueless as they venture on planning their wedding. This is not surprising, since a wedding is not something that people do on the ordinary basis. It is indeed important to take the following considerations in choosing your ideal wedding planner. Hiring a wedding planner is just like hiring a professional for his or her services. You will find lots of advertisements regarding wedding planners but it is best to ask your friends and relatives who have hired wedding planners themselves for referrals. Ask them for recommendations. If you cannot get some good recommendations, you can check the classified ads or even online for a good offer from the wedding planners. Choose those whom you think are potential candidates for your consideration. The next thing to do is to interview your chosen candidates. You need to get a feel of what it will be like to deal with the person considering that you will spend a lot of time discussing with this person. This will be your opportunity to see if you will get along with the person and if you can have confidence in the person who offers his or her services to you. It is good to know also how the wedding planner sees the vision you have in your mind for your wedding. See how he or she will be able to illustrate and concretize to you the plans and details that you are trying to point out. Determine through this process if the person is capable enough to do the duty. Compare the different ways the candidates will answer and choose one that you feel most comfortable with. It is also good to give out your proposed budget and see if the planner is willing and capable to work out on it. This is also a good opportunity for you to negotiate on the fees. Wedding planners generally charge 10 percent of the total wedding costs for their fee. You should seriously consider the task of finding the right wedding planner. This may be your only option to put your dream wedding into reality.